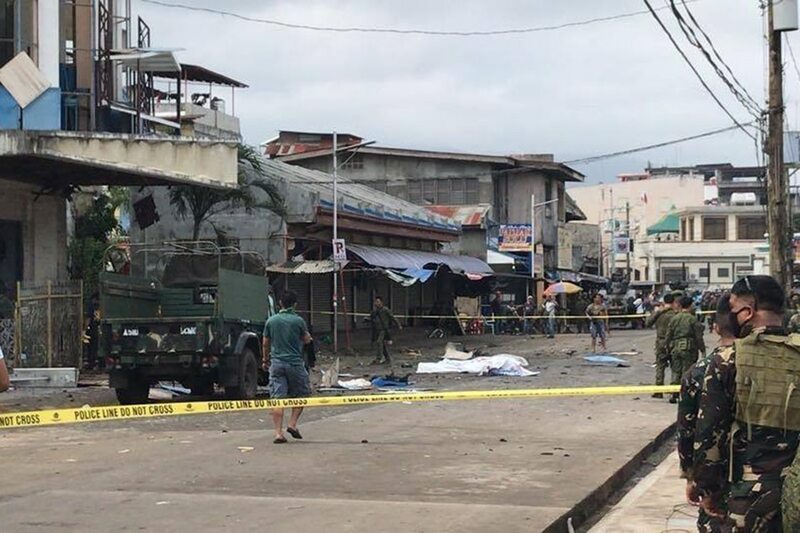 JOLO, Sulu (9th UPDATE) - Several people were killed and dozens wounded when 2 bombs ripped through a Roman Catholic church in this town early Sunday, authorities confirmed. 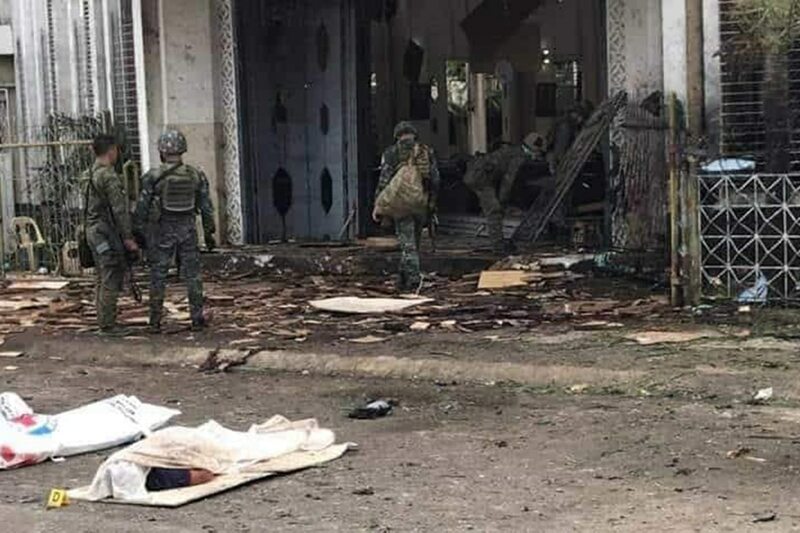 The first bomb, planted inside the Jolo Cathedral, went off during a Mass around 8:30 a.m., said Col. Gerry Besana, spokesperson of the military's Western Mindanao Command. As troops responded to the incident, the second bomb exploded in the church's parking area, he told DZMM Teleradyo. Mijares earlier said there were 27 fatalities but he corrected this later on, citing double entries in the earlier report. 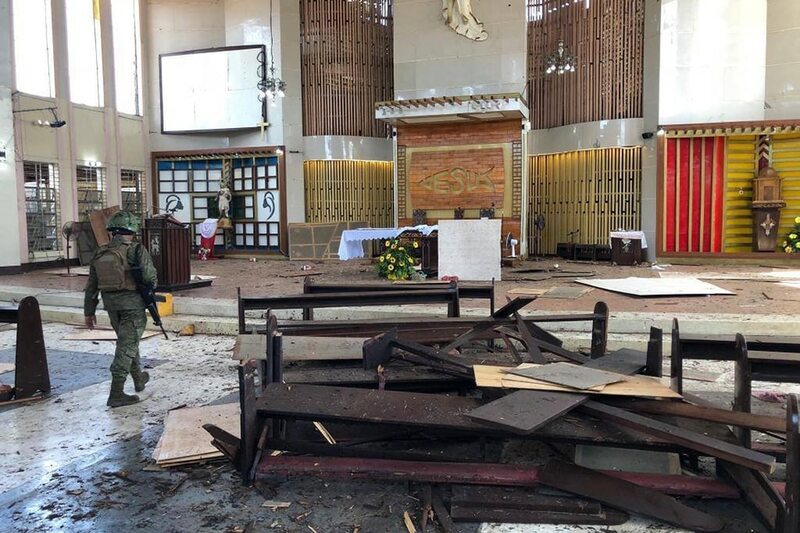 Authorities respond to twin explosions that struck a cathedral in Jolo, Sulu. 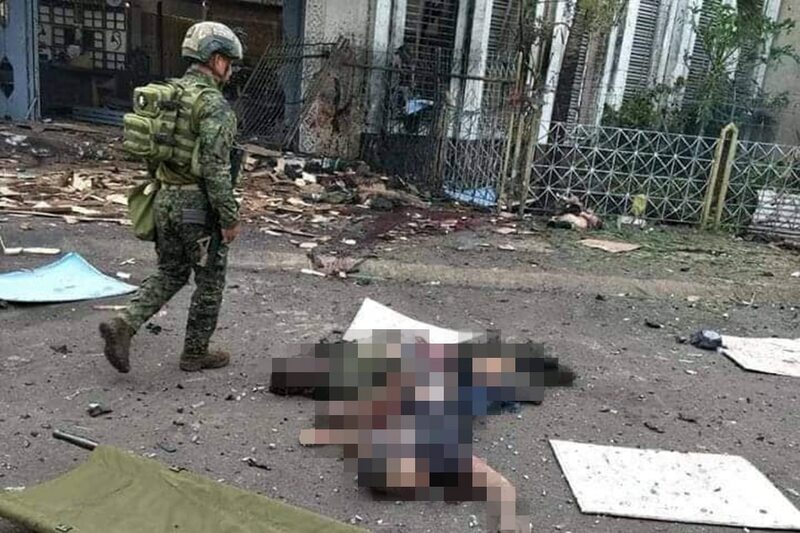 "We strongly condemn this treachery and commiserate with the families of the victims," military Chief of Staff General Benjamin Madrigal, Jr. said in a statement. "I strongly commit, with the help of relevant agencies of government, to pursue the criminals with the full force of the law to ensure that the victims of this injustice will be prosecuted and punished," he added. 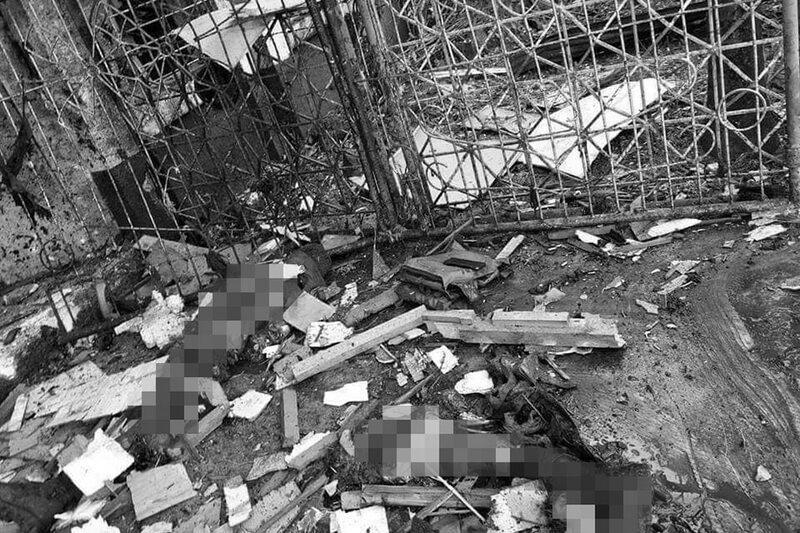 Malacañang also condemned what it called an act of terrorism and vowed to pursue the people behind the fatal blast. 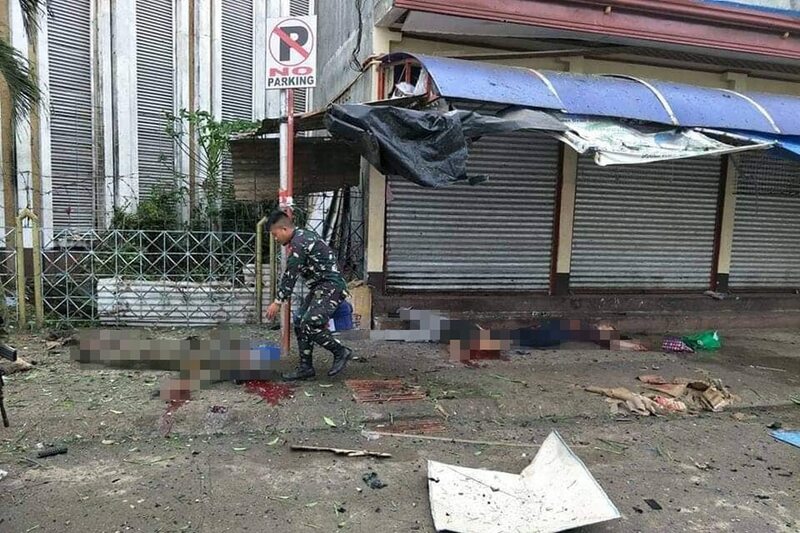 "By their act of terrorism and murder of soldiers and civilians, the enemies of the state have boldly challenged the capability of the government to secure the safety of the citizenry in that region," said Presidential spokesperson Salvador Panelo in a statement. "The Armed Forces of the Philippines will rise to the challenge and crush these godless criminals. We will pursue to the ends of the Earth the ruthless perpetrators behind this dastardly crime until every killer is brought to justice and put behind bars," he added. 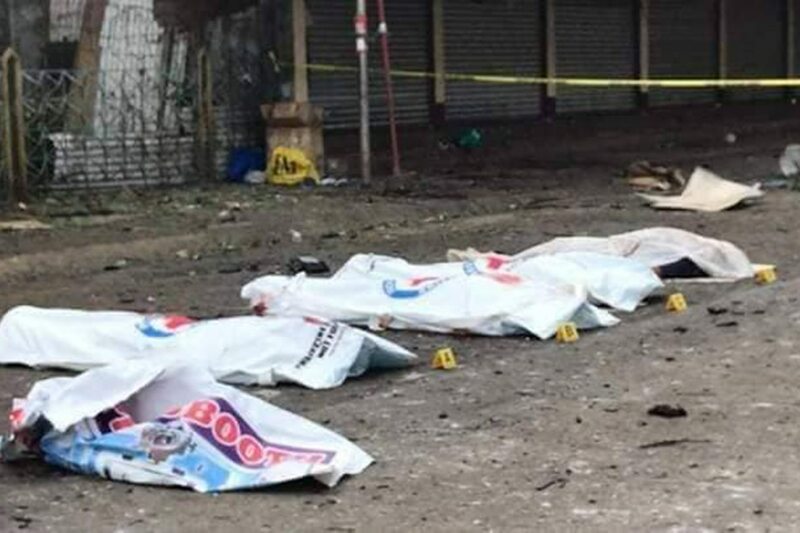 Panelo said the government will "crush" the "godless criminals" behind the fatal bombing in the southern town of Jolo. The Bangsamoro region was a product of a 2014 peace deal between the government and the Moro Islamic Liberation Front. The peace process, which began in the 1980s, did not include hardline Islamist factions, including those aligned with the Islamic State group, which are also active in the southern Philippines. 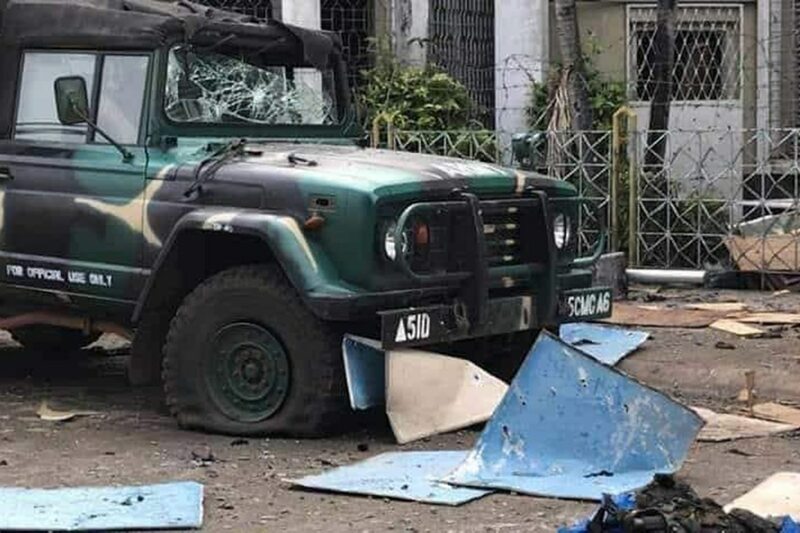 It was still too early to name a suspect in the attack or deem it connected to the Bangsamoro plebiscite, said Besana. Brig. 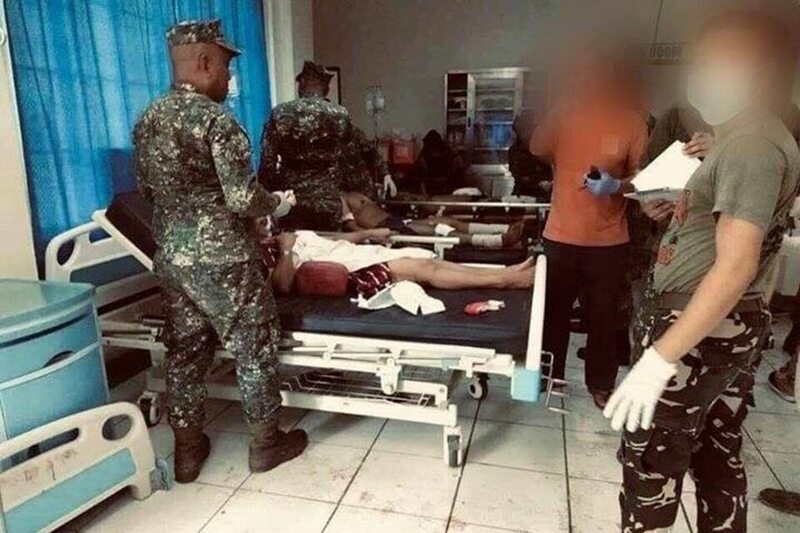 Gen. Divino Rey Pabayo, commander of Joint Task Force Sulu, said they had received earlier reports of the Abu Sayyaf's plan to bomb in the area, but they have yet to confirm if the group is behind the twin blasts. 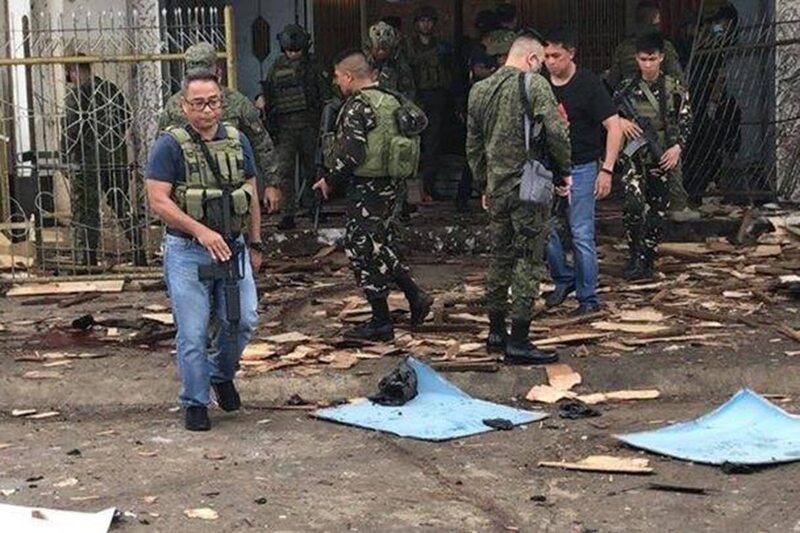 "There has been a consistent report that they are planning to do a bombing in the area"
The Abu Sayyaf, a gang of self-styled Islamic militants founded in the 1990s with seed money from Osama bin Laden's network, has long used the mostly-Muslim island of Jolo as a base, carrying out kidnappings and bombings. It is believed to have carried out the worst terror attacks in Philippine history including the bombing of a passenger ferry in Manila Bay that killed more than 100 people in 2004. In Christmas Day of 2010, a bomb exploded in Jolo's Sacred Heart Chapel, injuring 11 people.